After decades of leadership, the current editorial team of Oceanic Linguistics will pass the baton on to a new group of editors. The upcoming issue—Volume 57, Issue 2—will be the final issue for editor John Lynch, managing editor Byron Bender, and review editor Bob Blust. The incoming team is comprised of three co-editors: Daniel Kaufman, Yuko Otsuka, and Antoinette Schapper. Owen Edwards will join the team as assistant editor and Alexander D. Smith will take over as review editor. In its 57 years, Oceanic Linguistics has been lead by only three editors. Founding editor George W. Grace served for 30 years before his University of Hawai‘i (UH) at Mānoa Linguistics Department colleague Byron Bender took over as editor in 1992. Bender was editor until John Lynch, based at the University of the South Pacific, became editor in 2007. Bob Blust, also at UH, began as review editor in 1999. Daniel Kaufman joins the team from Queens College and the Endangered Language Alliance, Yuko Otsuka from Sophia University, Antoinette Schapper from CNRS, Owen Edwards from Leiden University, and Alexander D. Smith from the University of North Texas. Lynch, Bender, and Blust will continue on as editorial advisory board members. It’s been wonderful to work with both the outgoing and incoming editorial teams at Oceanic Linguistics. We wish our outgoing editors well in retirement and welcome the new team to this longstanding and important title. 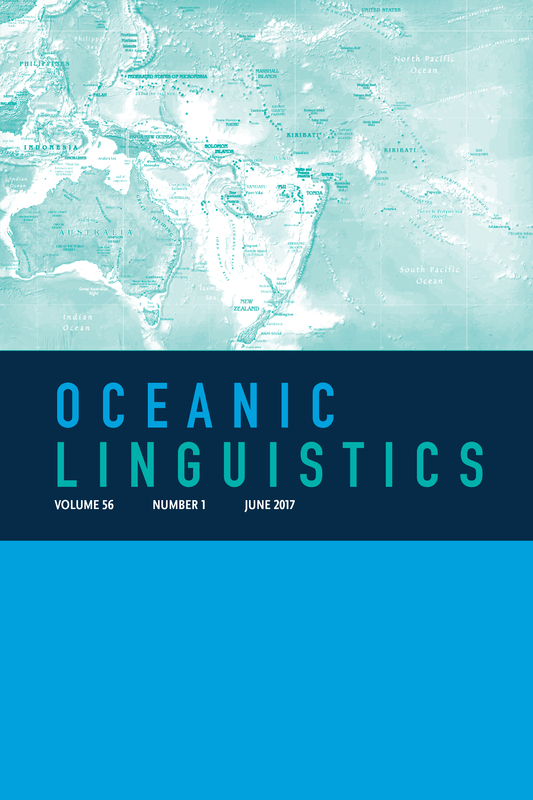 Learn more about the history of Oceanic Linguistics, along with an interview with outgoing editor John Lynch, and stay tuned for a new submission system in the coming year. View of the Constellation Mannap, Figure 1 from the Oceanic Linguistics vol. 54 no. 2 article, “East is Not a ‘Big Bird’: The Etymology of the Star Altair in the Carolinian Sidereal Compass” by Gary Holton, Calistus Hachibmai, Ali Halelayur, Jerry Lipka, and Donald Rubenstein. George Grace was never flashy, never one who sought out recognition, but he saw through the grand schemes of others who had greater ambition, rather like the little boy who saw what the emperor was really wearing, and stated it in plain language. He will be remembered for his broad knowledge of Oceanic languages, his trailblazing originality as a thinker, and his rock solid insights into the nature of language change.